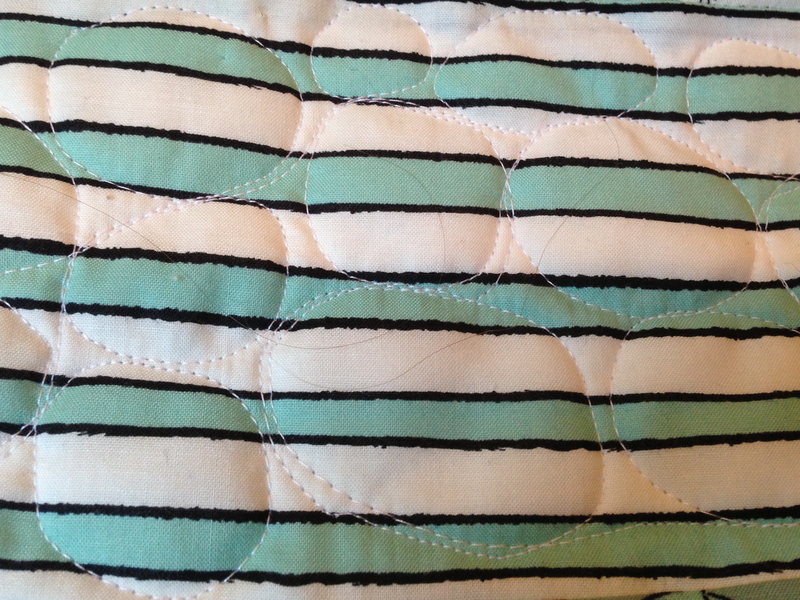 This week’s Beginning Quilting class is all about binding (where does the time go? 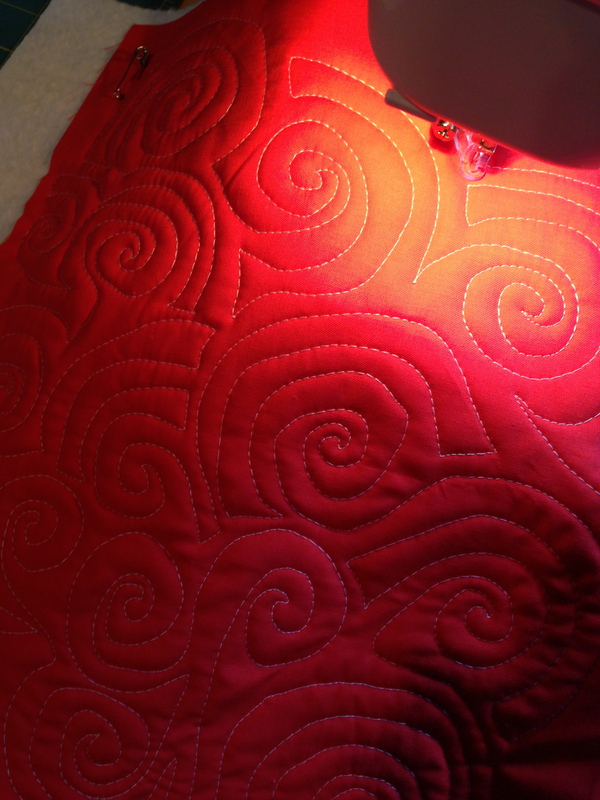 ), and Thursday is Free Motion Quilting over at Rock Paper Scissors, so I thought I would make a new sample for Thursday and demonstrate binding it on Monday. I tried out a new design…. 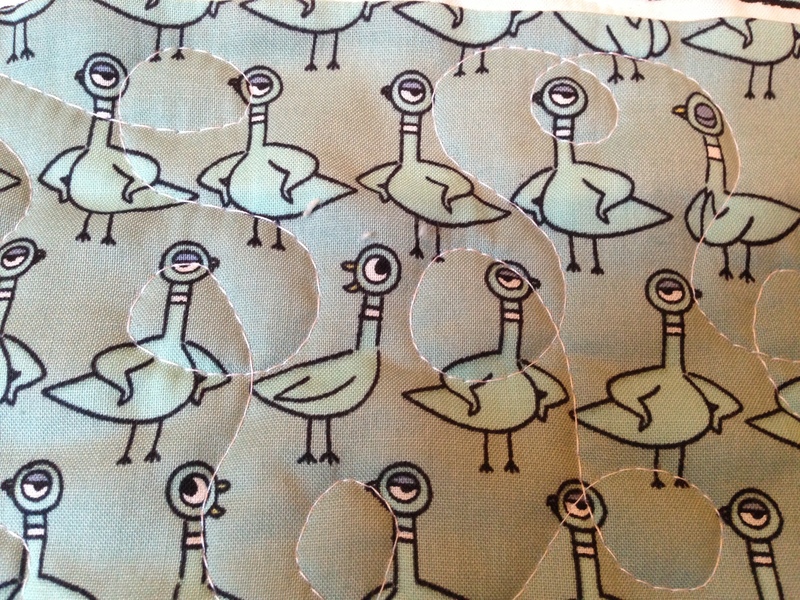 …and then set to work quilting some parts of Eli’s pigeon quilt. I did loops on the chorus line pigeons. And pebbles on the stripes. I like the round design on the linear print. Ok Monday, bring it on.